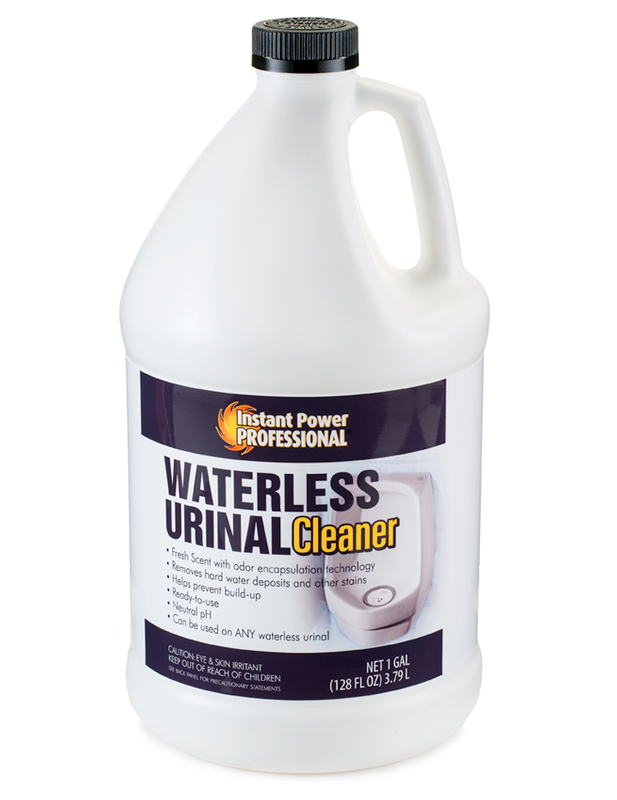 Like any urinal, waterless urinals should be cleaned daily and serviced periodically to operate effectively and without odors. The daily cleaning process is very simple and will only take a minute or two per urinal. 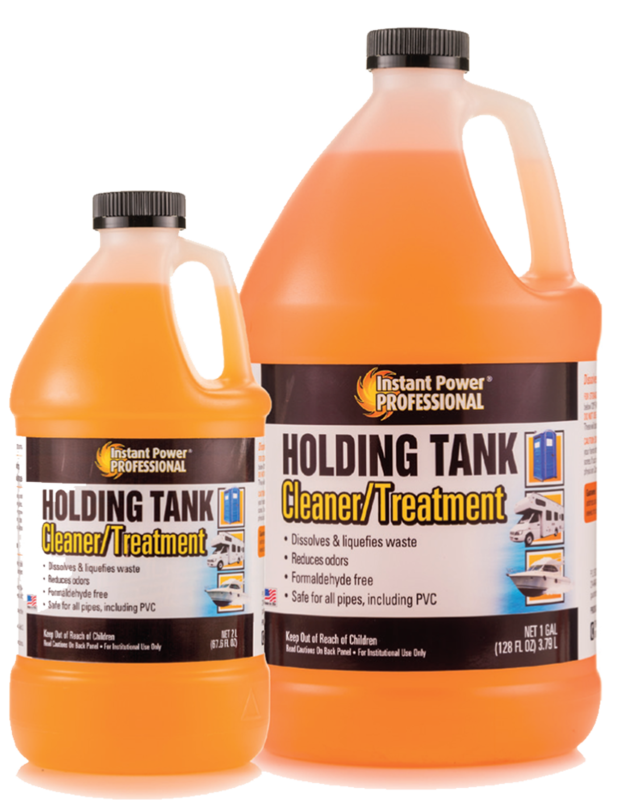 Instant Power Professional Urinal Cleaner is designed to clean the urinal surface without having an adverse effect on the Sealing Liquid used. The process only needs to be done once a day under normal circumstances. If you are in a high use environment such as a convention center, casino or airport servicing thousands of people daily, you may choose to clean the urinals more than once daily. 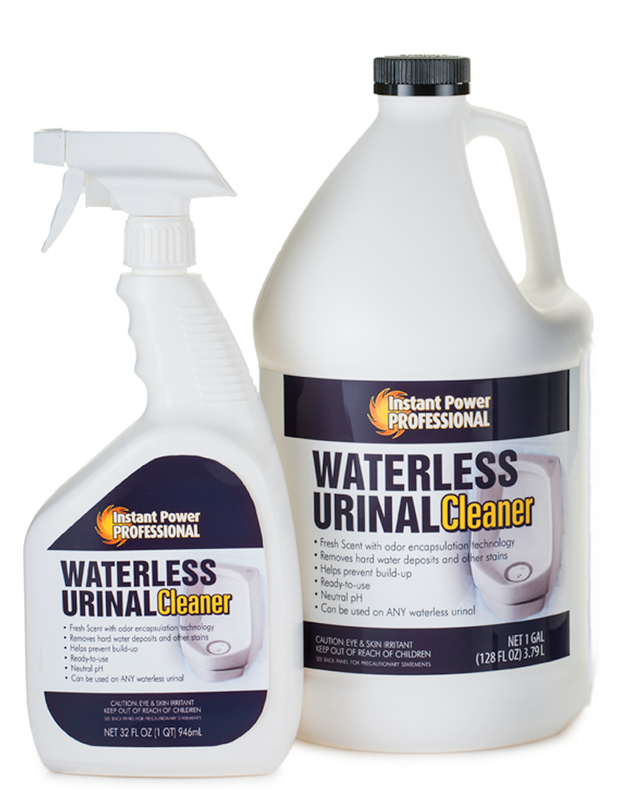 Instant Power Professional Waterless Urinal Cleaner is also a great daily cleaner for water flushing urinals, toilets, and tile floors! DO NOT pour excess or soiled water down the waterless urinal trap – it may flush Sealing Liquid out of the trap and may clog cartridge holes. 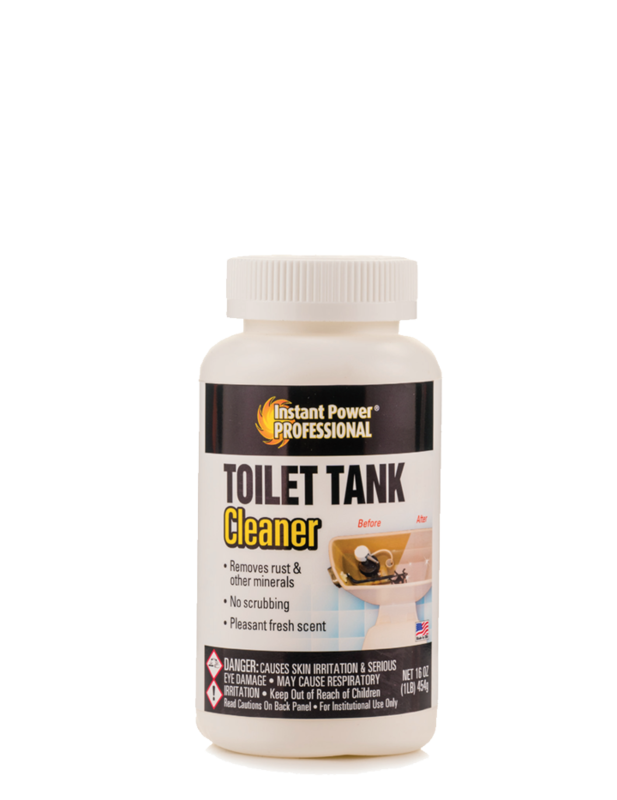 To remove excessive calcium/uric acid build-up, use Instant Power Professional Toilet & Urinal Cleaner. 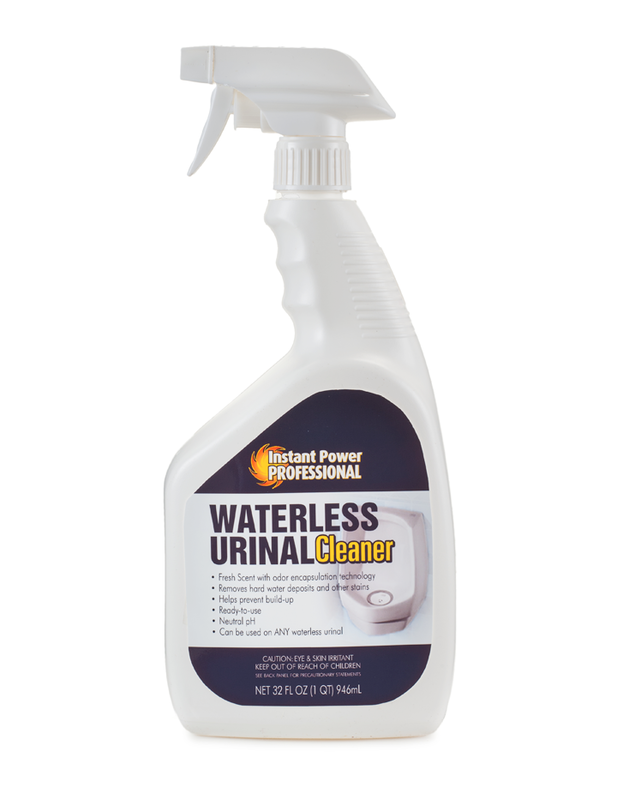 After cartridge removal, spray Instant Power Professional Waterless Urinal Cleaner onto the inside and outside of urinal surfaces. 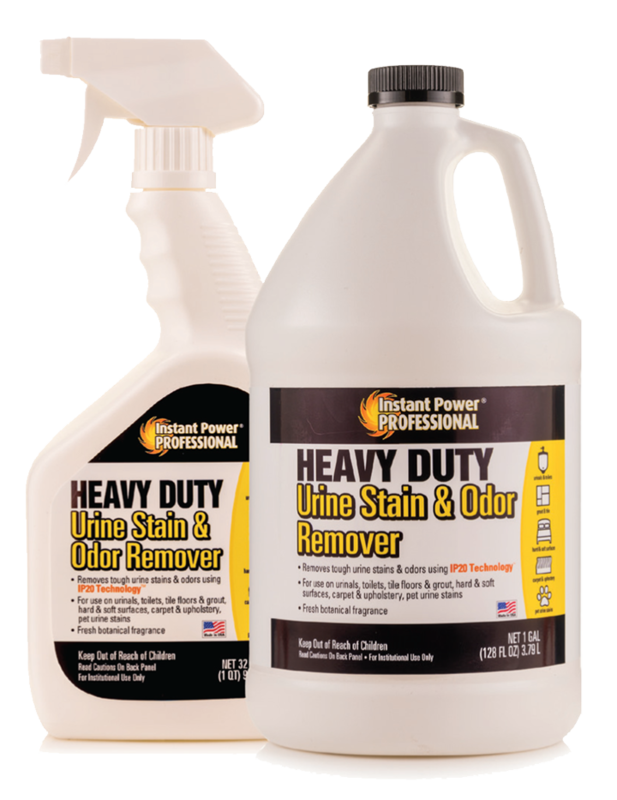 Wipe the urinal clean with a non-abrasive cloth. Unscrew the spray nozzle of Cleaner and pour 3oz. 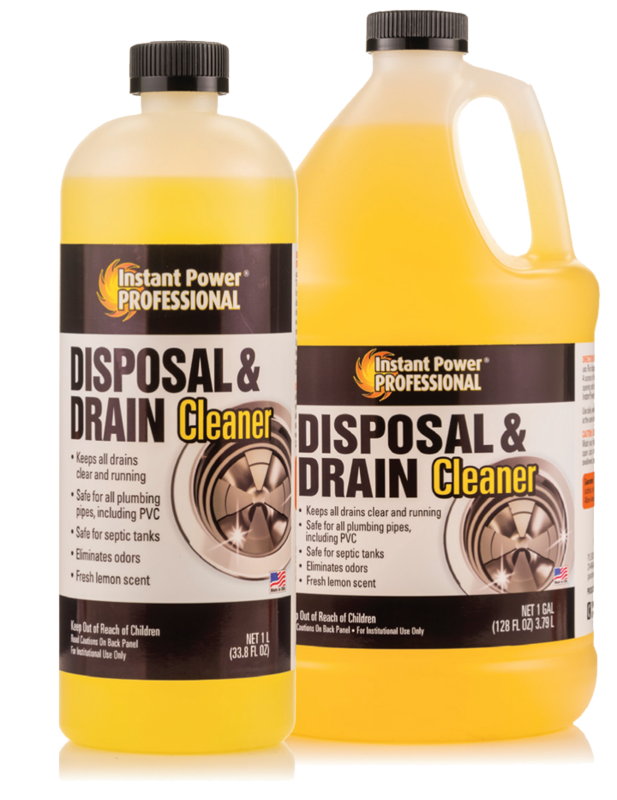 directly into the drain to remove odors and help prevent future build-up.